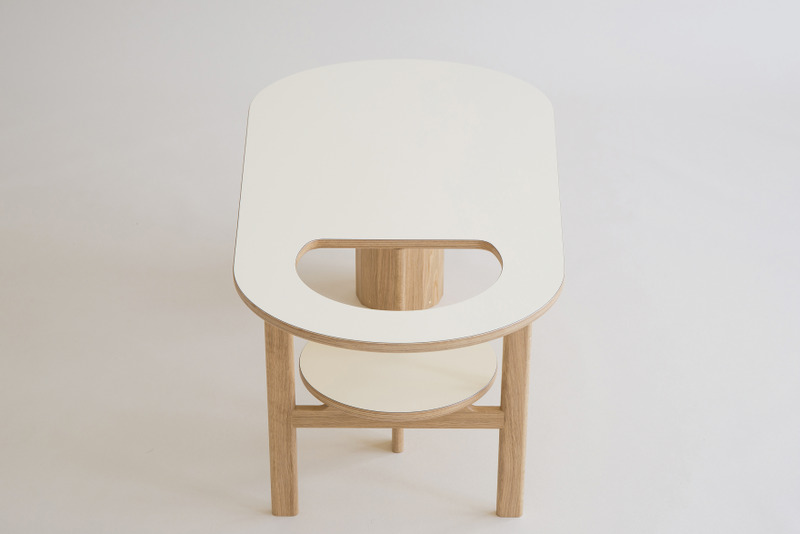 Boida is a sofa table that has the option to either hold some of your books and decorative objects, or it becomes a seat for your baby. 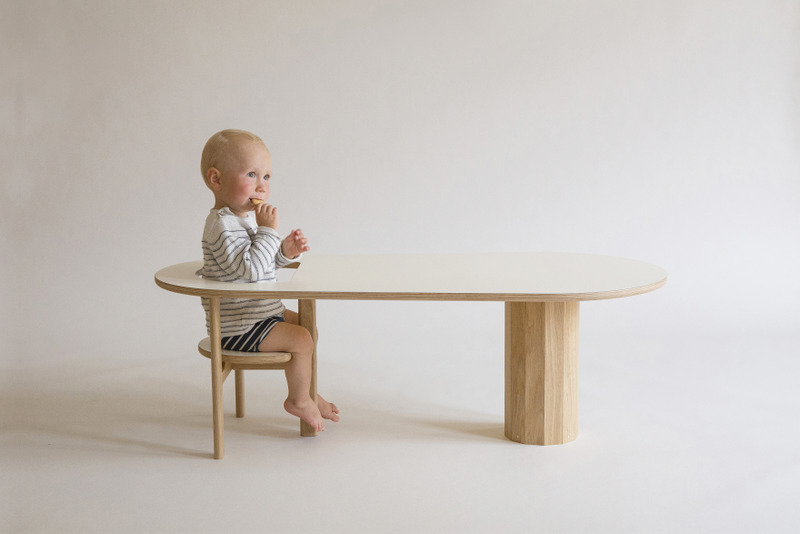 Most babies want to be a part of the mix and by offering them a seat at the table, parents can sit around it and create a community that finally includes the baby on their level. 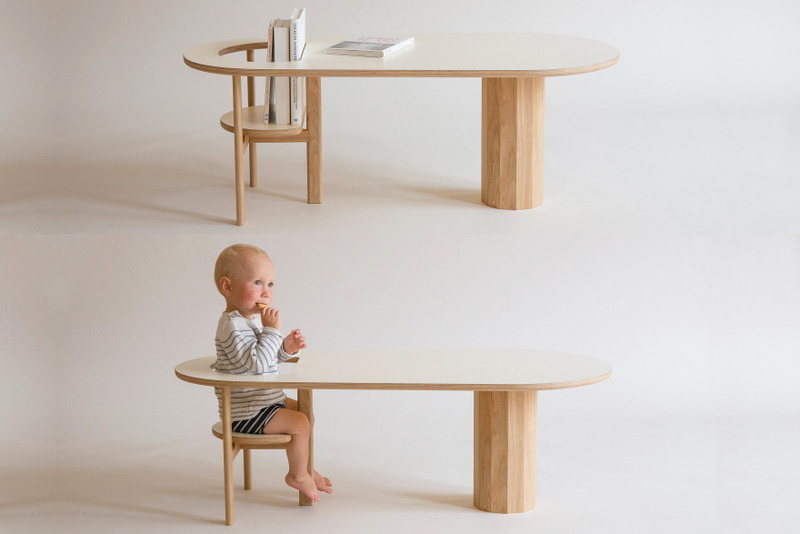 Whether you use it for eating or to get some work done with your baby close, the table keeps your baby within sight. When the baby gets too big, the seat becomes a shelf for your stuff. 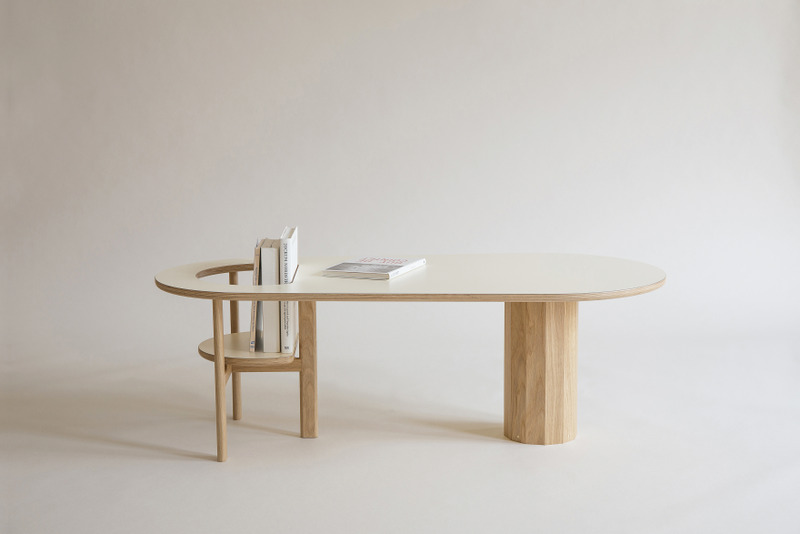 Boida sofa table was designed to silently support and permeate our everyday lives. "When I visited friends' home who have babies, the time was dispersed to bring the babies into parents' sights and I wanted to gather those dispersed moments into around the sofa." In that sense, Boida is not simply for baby but for family. 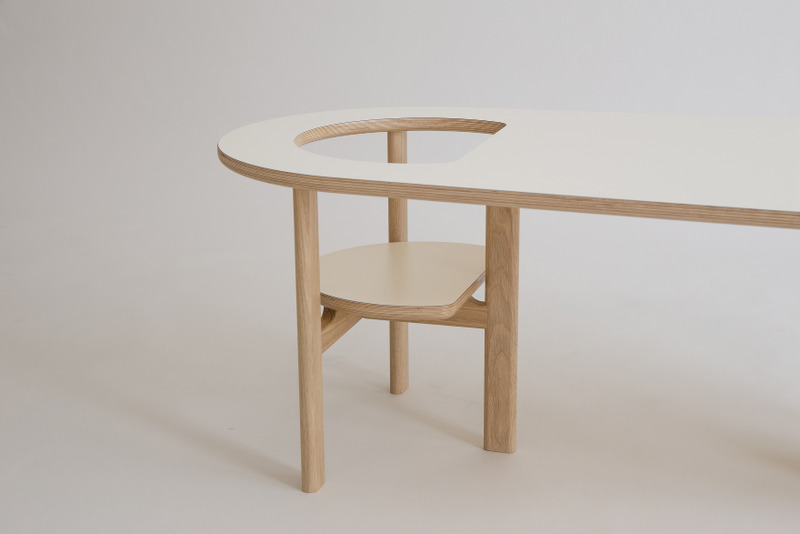 The shape was designed with a small circle that means baby space and a large circle that means adult space and those are bounded into one space. 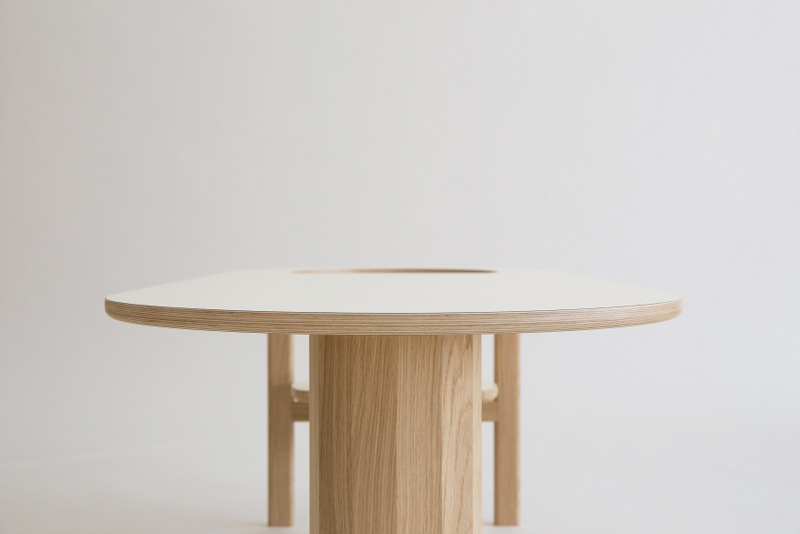 The structure of the chair side is included elements of Scandinavian furniture. It gives a soft feeling and is easy to clean. On the other side, Boida has one dodecagonal pillar. 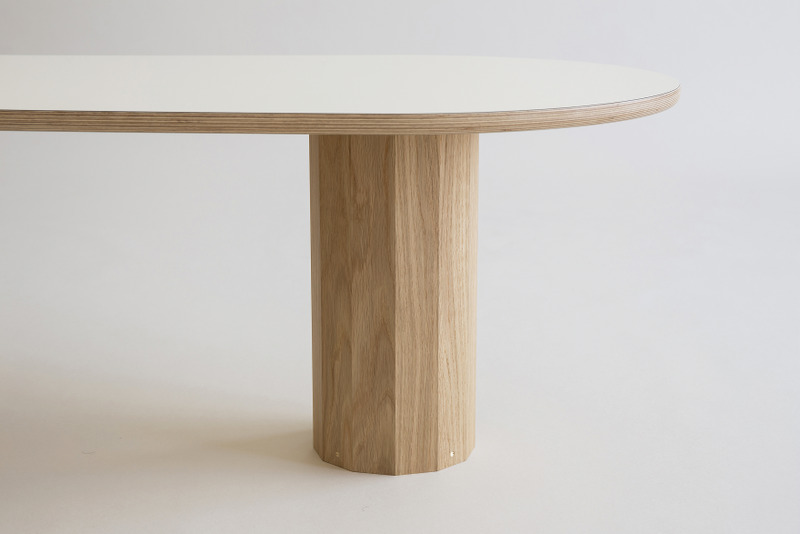 It secures enough space for the user's leg and gives simplistic and aesthetic value in shape. 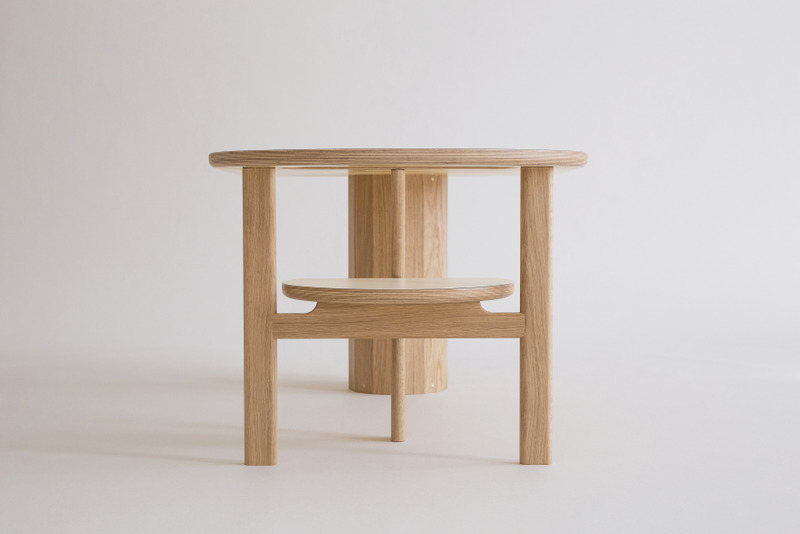 Since the chair can be used as a shelf to hold books or vases after a baby grows up, it will be sustainably useful and hold the memories of family. 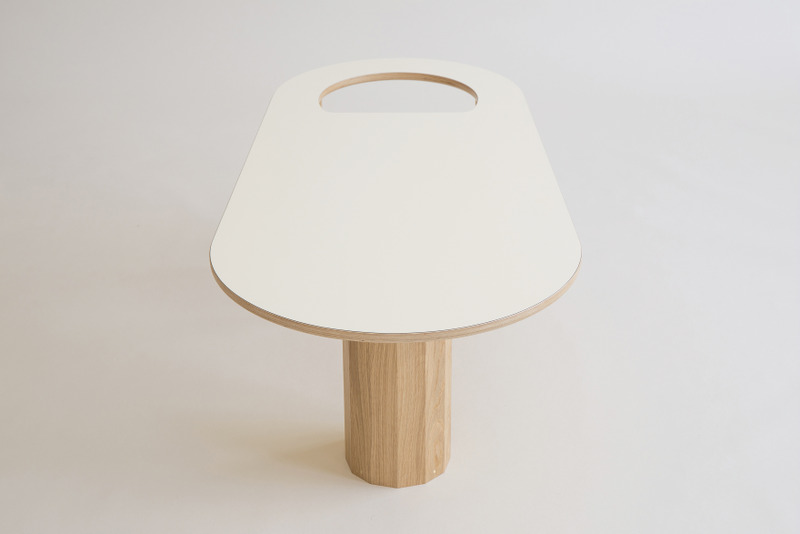 Boida is an example of how the small paradigm shift can change family's daily pattern and nudge them to a better direction with simple forms and familiar materials.